← Does everyone know what time it is? A couple weeks ago, I did what many of you might have done: I spent some online time doing a little shopping over at the Nordstrom Anniversary sale, where items that are typically obscenely expensive become, for a very brief period of time, only moderately overpriced. And by shopping, I mean filled my cart with approximately $536.27 worth of things that I absolutely did not need. BECAUSE THEY WERE ON SALE. Then, I made myself a cup of iced coffee, gazed into my closet for a long minute, and slowly went through and removed every single item from my cyber cart, one by one. Because truth be told, I really did not need any of them. I say I do, I say that I NEED new jeans like these, since my Madewell ones (yes, the saga continues!) ripped straight down the thigh after less than six months of moderate wear. But I don’t really need them, because my back-up jeans are more than sufficient. And I say that I NEED these leggings because everyone swears by their perfection, but I have a couple old pairs that still make noble appearances when I wear them around the home. And when I say that I NEED a new cute fall dress like this one, I really meant hat I just wanted something cozy and fresh. I’m trying to do this when I buy things, trying to ask myself if I really, truly, need whatever it is. Ever since my massive closet purge, I have really enjoyed having less. Plus, my almost six week stint in a carry-on showed how wonderful a tiny wardrobe can be. I’m not opposed to adding something this fall to give my clothes a fresh look, but I don’t just want to pile on fabric , I don’t want to just fill my closet with random sale purchases. When I thought over my wardrobe for the coming months, I tried to ask myself if there was one thing that I was missing, one thing that I really wanted to jazz up everything else that I already had. There was. This summer I have lived every day in my cheap French panama hat, and I would really like some sort of fall hat. Something felty and colored, and not too much like a cowboy hat, but not at all like a beanie. And most definitely NOT AT ALL like this, because this abomination of a head covering should not be allowed to exist. I mean, let she who has never worn a bucket hat and thought it was cool cast the first stone… but still. Please tell me these floppy messes aren’t coming back in. I did a lot of hat trying-on at the mall the other day, coupled with lots of hat perusing online and I’m loving this plum/maroon number, this one in green (not shown online), this grey one, and this one — though it is flirting dangerously with the cowboy hat line. 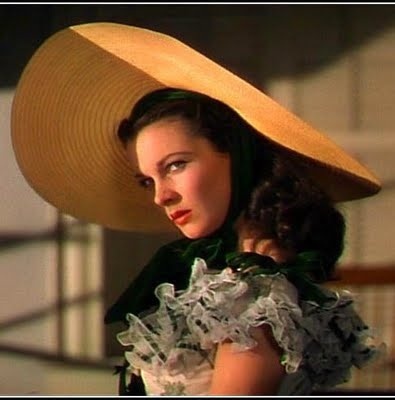 But then again, I get nervous, because sometimes wearing a hat just feels… so pretentious. Am I the only one who feels that? In the summer, it’s one thing. Sun protection, heat shield, humidity hair– hats are obvious solutions to all these things. But in the fall? They just seem reserved to the stylish elite, of which my member card must have gotten lost in the mail. All the same, and much to the dismay of my husband, who might have confessed that he was a tad weary of ye old panama hat that I have worn daily all summer, I want to take the fall hat plunge. Any good ones that you ladies have found floating around the fashion world? The Suzy Felt has just a little bit of the fedora/Indiana Jones vibe, a slight tinge of faux masculinity that I rather like on a woman. I do love me some Indiana Jones! I vote for the maroon or the grey! Yes! Fall hats are sometimes difficult. One of my favorites came from banana republic on sale years ago. Sometimes off Saks is a good place to buy reasonably priced hats too. But I agree, I sometimes feel awkward wearing hats out, though I do love wearing them all seasons. I stubbornly wear one every Easter because I want to, never mind that I am the only one. Perhaps my style belongs to a different era, but I wouldn’t mind looking like Scarlet on occasion 😜. I love a cute wool Cloche hat! They are stylish and functional in Autumn and Winter. Hope you enjoy the hunt, and I commend your restraint. Buying for the sake of a sale is not really a patch on the fun of buying something that you really need or want and have waited for. I have been learning some difficult lessons myself this week by buying things I did not need… *sigh* Oh I can relate to this post so much. I hate when I impulse buy, which doesn’t happen often. I usually do it once in the spring and fall and take most of the items back, keeping only what I truly need. 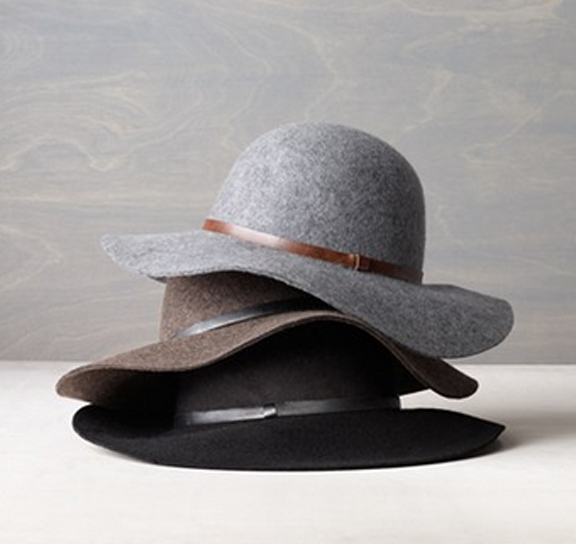 I think any of the hats you listed would look absolutely darling on you this fall. You should totally go for it because you would look so elegant and not pretentious at all. My personal favorite is the Leith Floppy Felt Hat you listed.